I took this picture of Jim Thome on March 17th, 2005, it was a cold rainy St. Patricks Day in Clearwater. 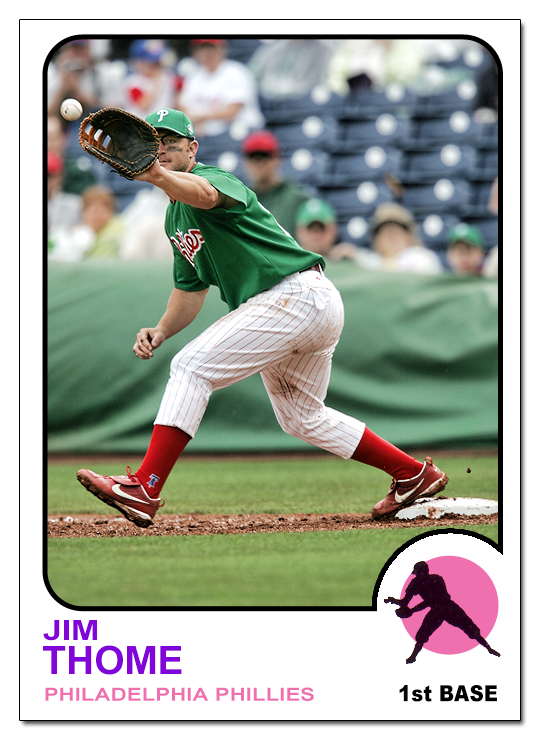 No particular reason I chose the 1973 Topps template, it just looked right. 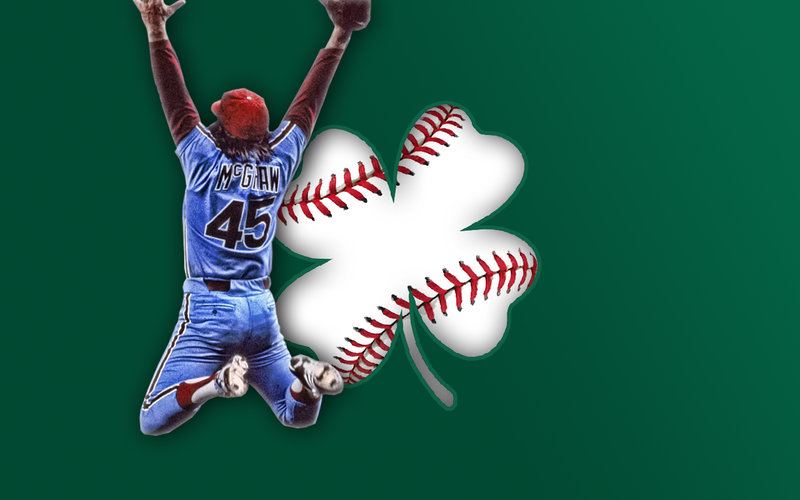 I like to think the Phils wear the green every year to honor Tug McGraw. Tug loved St Patrick's Day and proudly proclaimed it was his favorite holiday of the year. He always said the manager could use him any way he wanted on March 17... but that under no circumstances could he be expected to be in any condition to pitch the following day.